Glad that you are feeling up to doing so much. 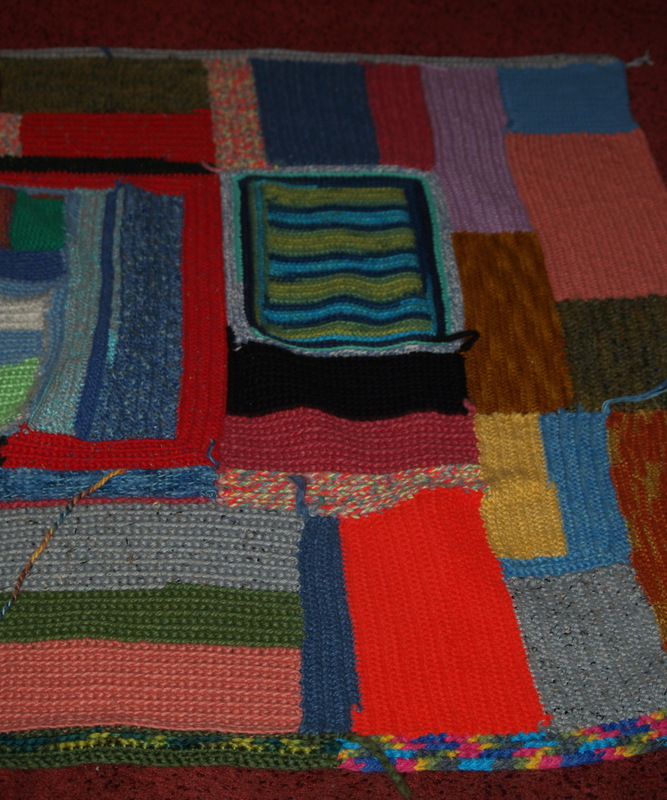 The blanket looks like a great crazy quilt. Have you seen the Gee’s Bend quilts? If not Google image them I think yours are related even though theirs are cloth not yarn. Just image searched it – those quilts are amazing! What a wonderful blanket! Looking forward to see the finished piece! All the best when you see your new psychiatrist! Thanks! I’ll probably be writing about that soon too! A friend just spent a few days cleaning another friend’s house. Her rule is: put things away, you can sort through them later. So, she gets those super heavy duty bags that they sell at hardware stores, then just throws everything inside. 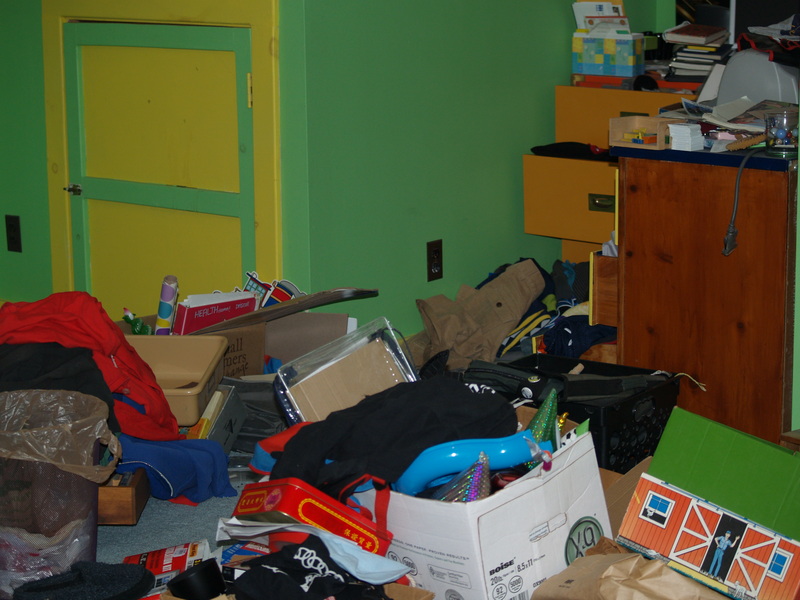 At that point, the space can be cleaned, and you can sort through bags at your leisure, in the comfort of your nice clean space! haha, I like your comment about covering the mess w/ blanket! I have to admit that that is exactly what I told my friend when she described her method. I also have to admit that it is dangerous to open closets at her house, because of her use of this tactic! Good luck with all the projects, getting back to work and coming out (or not). Love the blanket, looks like a labour of love and sentiments. Take care, JQ! I keep meaning to let you know that I’ve been thinking about this blog entry and you recently. I’ve finally become productive after months of unemployment, depression. I’m finally on my game and getting weird things simillar to finishing a blanket started 2 years ago. It feels nice to have the time and energy to get that all done. Enjoy the free time. Hey thanks! Interesting how productivity (such as getting a job) can lead to more productivity. Any sort of change can help, I think. Look forward to reading more from you!